The daily weather forecast may not be the most exciting part of the morning news, but at least it provides a service. But what could be added to the morning weather forecast to make it a bit more entertaining? Oh, I know! 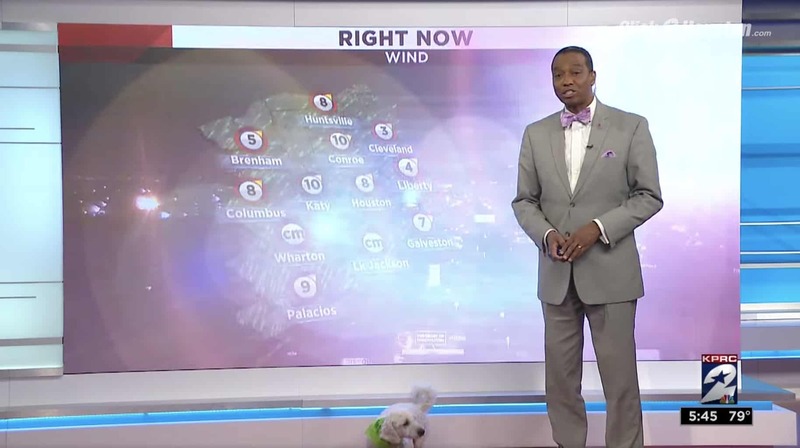 Make sure an adorable dog gatecrashes the weather forecast. TV meteorologist, Khambrel Marshall’s, job is to predict the weather for the day ahead so nobody gets caught out without their rain jacket. But it would seem he’s not quite as good at predicting when curious doggos will swoop into the area. 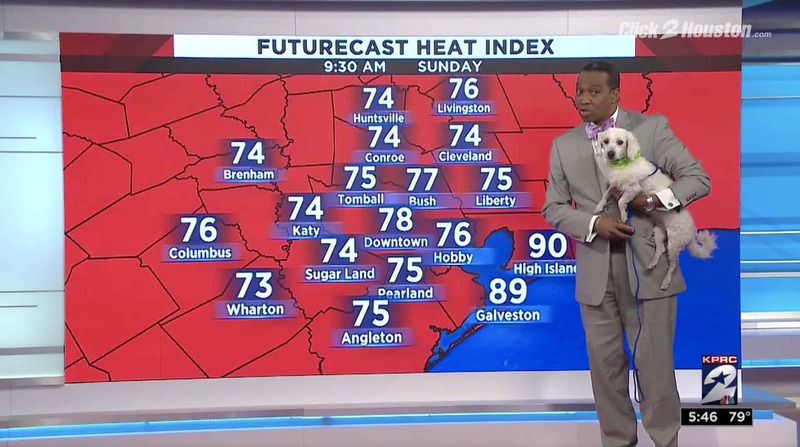 At the weekend, Khambrel Marshall was giving his forecast for the station KPRC 2 in Houston, Texas, when he got a surprise special guest. A fluffy and white figure crept across the bottom of the screen, but it wasn’t a cloud moving in from the east. A little dog had casually strolled into the middle of the set and plonked itself firmly in the middle of the weather forecast. The sweet pup was a shelter dog named Angel. Angel was due to appear in the next news segment, aimed at finding him a new home. But it would appear that Angel just couldn’t wait for his shining moment. Khambrel Marshall handled the situation like the pro he is. He scooped up the fluffy pup and continued to tell the weather forecast with the pooch in his arms. He even added in some helpful pointers for the viewers on how to take care of their dogs in the heatwave. We wanna make sure you get a lot of clean water. Make sure you keep your pets inside. You gotta keep water for you guys, right? 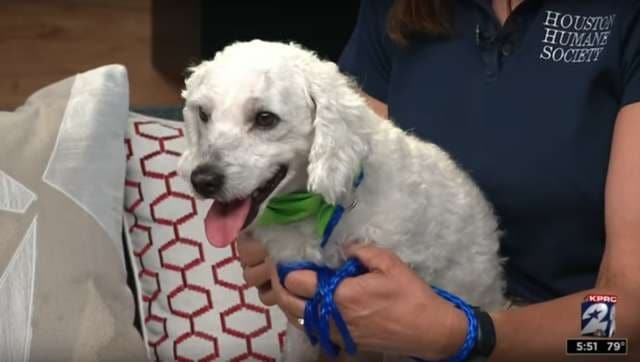 Angel absolutely stole the show and viewers couldn’t get over how adorable the morning weather report was. 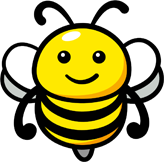 Hopefully, Angel’s mischievous turn helped lots of people to fall in love with him. I’m sure the shelter has had so many calls with offers to adopt him since the broadcast. With a bit of luck, Angel will be in a forever home sooner rather than later! They make quite the dream team, don’t they? I would watch the weather forecast every day if Angel was Khambrel Marshall’s co-host.